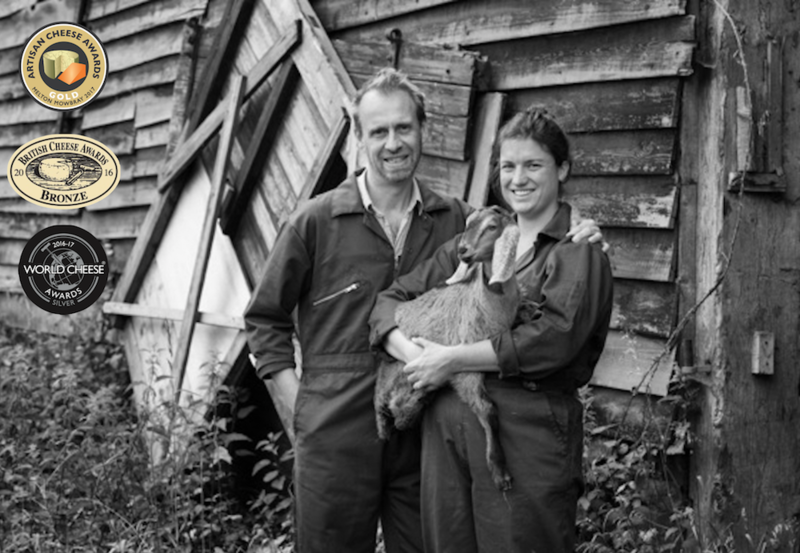 Fraser Norton and Rachel Yarrow started Norton and Yarrow Cheese three years ago when a chance reading of a magazine article about a cheese maker sowed the seeds of an idea to leave behind their successful careers as a project manager and a teacher to get back to the land and start their own business. The cheese is made at a brand new creamery (Jan '18) built by Fraser and Rachel at the Earth Trust (environmental charity) at Shillingford. 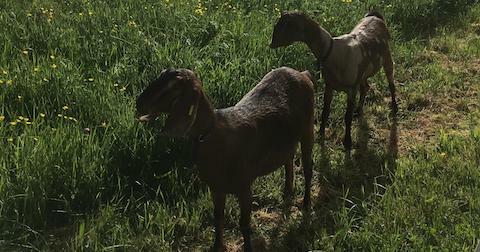 Also on-site are their herd of just over 80 Anglo Nubian goats, (a breed known as the Jersey Cow of the goat world for their rich, creamy milk). Their goats benefit from a diet of richly diverse wildflower meadows, on a farm which borders the River Thames in South Oxfordshire. Their mission was to create a cheese which would allow the floral richness and quality of the milk to take centre stage. Sinodun Hill, the cheese they make, has a light, fresh character with a smooth, mousse-like texture and a delicate flavour with yoghurt, citrus and almond notes. 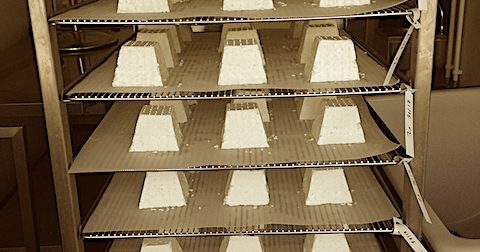 They based their recipe on traditional French styles of goats’ cheese, focusing on handling the milk as gently as possible and adding as little as possible beside the milk itself, to create a cheese which is a true expression of the milk and its terroir. The golden rind has a delicate flavour and at certain times of the year can develop natural blue, grey and white moulds which add to its character. Since they sold their first cheese at a local Oxford market in March 2016, their cheese has quickly grown in popularity. They won awards at the Artisan Cheese Awards, the British Cheese Awards and World Cheese Awards in 2016, before winning ‘Best New Cheese’ and a Gold Medal at the Artisan Cheese Awards in April 2017 and Best New Producer at the Great British Cheese Awards in October 2017. They have also been shortlisted as finalists for the Good Housekeeping Food Awards in Autumn 2017.